Aquamarine is a gemstone, which is truly able to inspire. Blue has always been one of the most valued of colours throughout the world and Aquamarine, in particular, offers a whole spectrum of blue hues which pulls many gem lovers under its spell. Its Latin name translates to ‘Water of the Sea’, this gem protects sailors, endows wisdom and is a jewel of sirens. Aquamarine is one of the most popular gemstones and was even used in worship by some ancient societies. The colour is reminiscent of the sea, the sky, the mystery and power of lagoons and it remains popular among jewellery designers in the 21st century. The choice of an Aquamarine should not be solely a question of price, but above all be “love at first sight”. 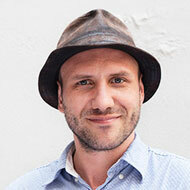 Generally, the price varies according to the depth of its blue hue, the size, the purity, and its geographical rarity. 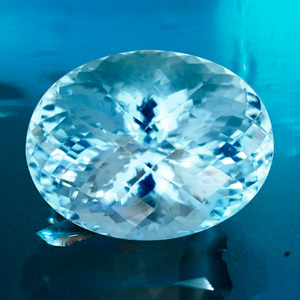 Aquamarine is classified as a type I gem, making its transparency very important. 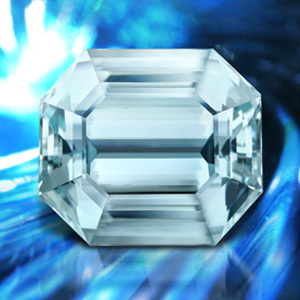 To the naked eye, at a distance of 15 cm, a good Aquamarine will have no visible inclusions. The basic colour of Aquamarine is naturally blue, but there are a great many different nuances; clear blue, ice blue, and others in the green or turquoise reaching blues. 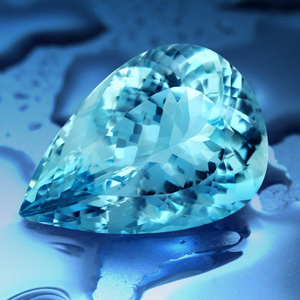 The most expensive Aquamarines are those that have the most intense blue. When choosing Aquamarine you should not base your decision exclusively on price, you should choose the gem whose brilliance and colour you fall in love with. Generally the price varies depending on the depth of its blue, its purity and of course its rarity. But let us focus on these shades of blue that we offer, here are some examples (but not an exhaustive list) existing aquamarine varieties. Aquamarine from the mines in São Domingos in Brazil has a delicate, very pretty blue colour. Although this type of the gemstone is generally rather small, one can as well find larger specimens and very good quality. Its bluish hues have a calming effect, evoking balance and purity, reminiscent of calm, clear water and mountain streams. I can highly recommend them to diamond-lovers. This African Aquamarine, mined in Nigeria, is a very pure and clear stone. It has slight yellow tones, giving a green glow without losing its clear blue colour. The Bauchi Aquamarine reflects the colour of a spring morning. Those who love Gems and nuanced pastel colours appreciate this variety. The intensive, solid turquoise blue in this Aquamarine is truly exceptional. The clear blue-green nuances are just like the image on a holiday postcard. This colour will delight those who love the bluish greens and turquoise shades of a lagoon. 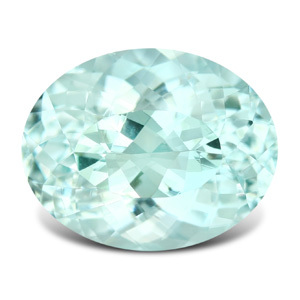 Surely the best known of Aquamarine varieties, it gets its name from the mine of Santa Maria de Itabira. Later specimens were found in Mozambique and Madagascar, with the same colour tones. Deeply saturated blue beryl. The colour of Santa Maria Aquamarine is unique. Those who love a perfect, electrifying blue Aquamarine should have this at all costs! Its price remains relatively high, owed to its particular colour, as well as its rarity. The Pedra Azul Aquamarine is deep like the stormy sky on an island. It shows an intense blue, but also acts icy. These cool colour nuances in no way diminish the deep blue! It is found only in small samples in Pedra Azul, in the famous region of Minas Gerais in Brazil. Pure as clear water, green as a lagoon, electrifying, brilliant or mysterious as the evening sky; Aquamarine remains fascinating. One can really understand why they are some of the most popular gemstones around. It is not only its rarity, the gemstone enthusiasts pay for, but also their deep passion for the shades. For those who are curious, I finally decided to give my girlfriend a beautiful Pedra Azul-Aquamarine with a pretty, rather dark blue colour!